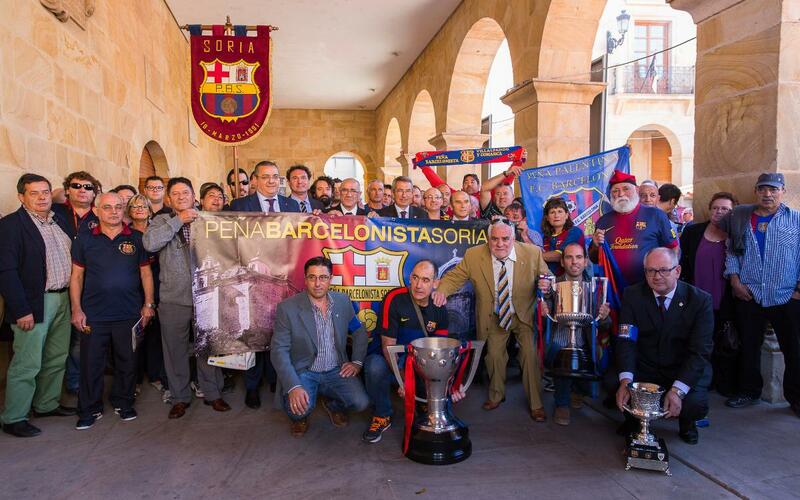 It was an intense for Barça support in Sòria on occasion of the 25th anniversary of the Peña Barcelonista Soriana, a huge event that brought together all of the clubs from Castilla y León in the same city, where the Federation’s assembly also took place. Early in the day, the zone’s president, Nicolas Pérez, opened the quarterly meeting. In the presence of FC Barcelona director Pau Vilanova the local clubs debated the present and future of the supporters movement in the territory. Vilanova also gave a speech in which he referenced the Penyes Segle XXI project by saying that "if the Penyes want to be ambassadors for the club then it is essential for both the penyes and the Federations to work together on common thematic areas and for things not to just be down the work of one person. We have to organise things better”. He also commented on "the need to attract and have more members in the penya community" highlighting the 'De Catalunya al món' project being run through FCBEscola and the supporters movement, which understands on an international level that the two concepts are united and complementary. Hundreds of Barça shirts and scarves then paraded around the city centre at midday, backed by the sound of the Barça anthem. It was both a social and a gastronomic occasion as they visited a number of establishments in Soria where Barça fans are always especially welcome. The gala dinner that brought an end to the day was attended by Soria mayor Carlos Martínez, a Barça fan through and through who remembered the time when his father took him to the founding meetings of the local supporters club and how much enthusiasm the few original members put into the project. Now fully consolidated, thus club interprets and fosters such key Barça values as respect and fair play.